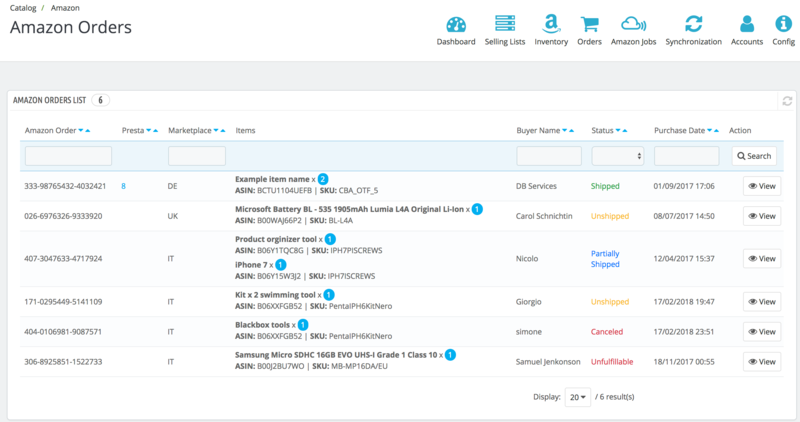 Sell on Amazon from your PrestaShop store. 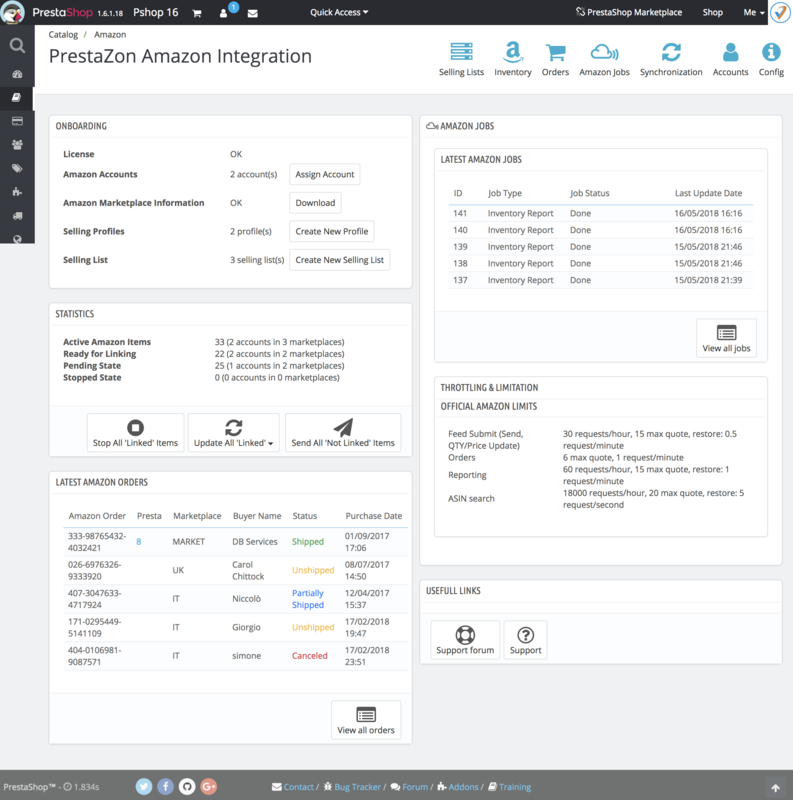 Catalog, Inventory and Orders Synchronization between PrestaShop and Amazon. 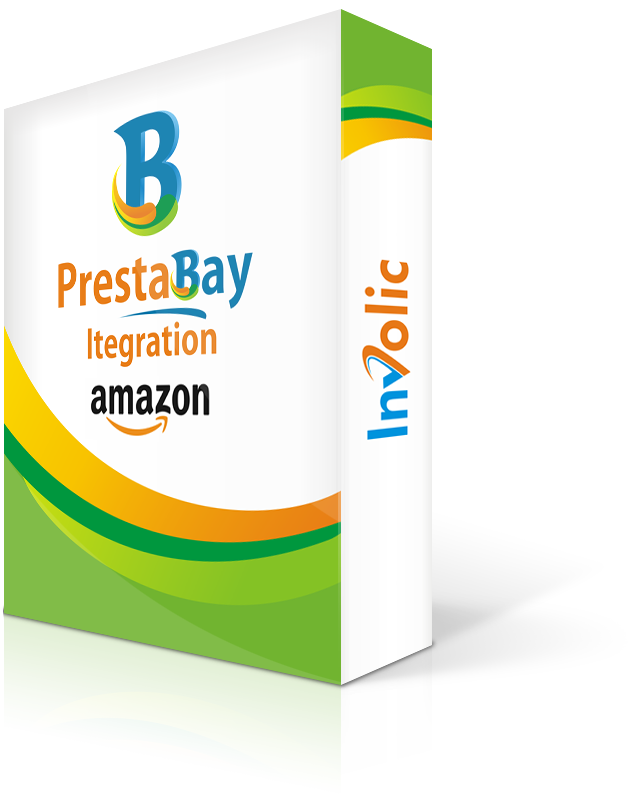 PrestaBay — Amazon Integration Module allow you export, edit multiple products on Amazon marketplace, import amazon orders into PrestaShop backoffice. 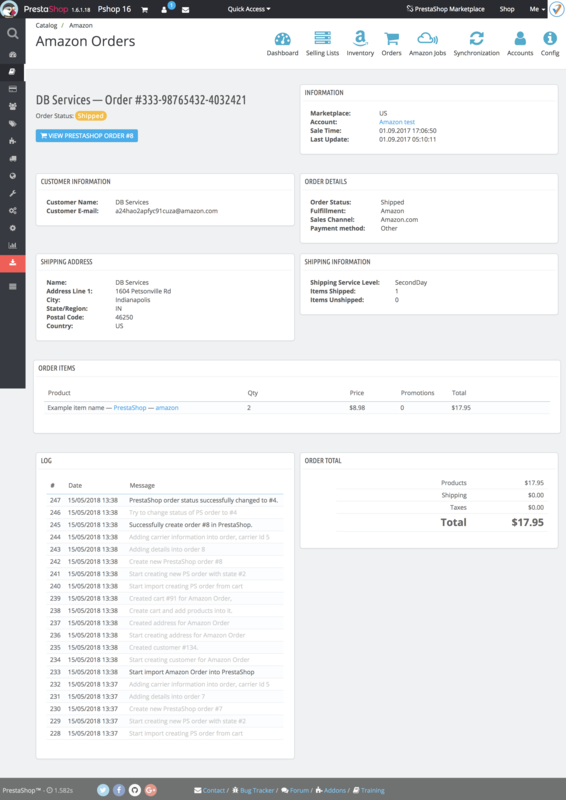 Very easy module installation, flexible configuration, clear interface and very easy usage. 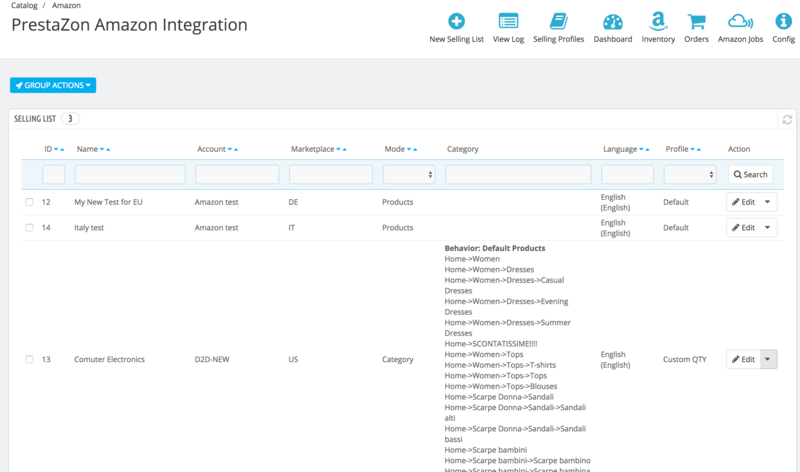 Module support multiple amazon accounts and allow connect your PrestaShop store with multiple Amazon Marketplaces. This module recommended for all PrestaShop store owners who sell or interested in starting sales at Amazon marketplace. 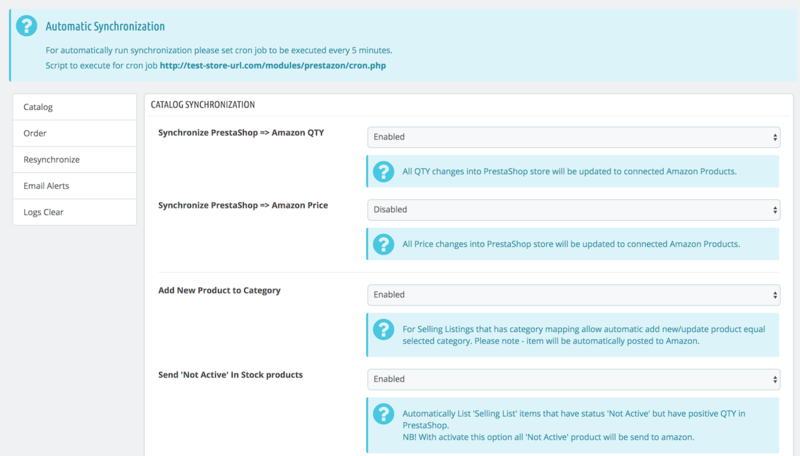 Save your time and money by controlling Amazon accounts through PrestaShop. Allow export PrestaShop products to Amazon Marketplace with custom price and QTY. 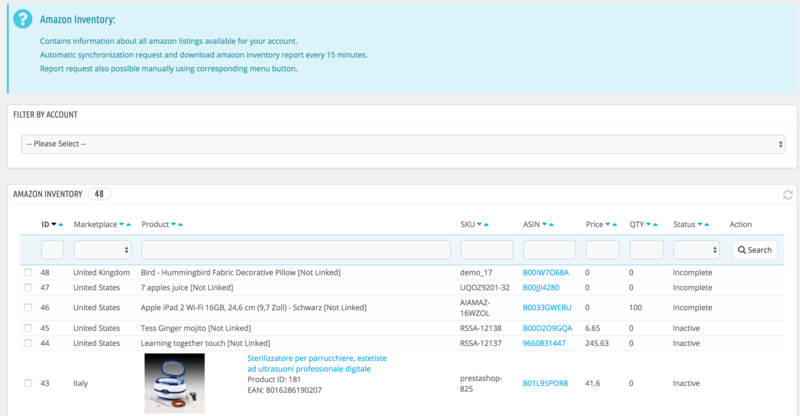 Flexible Stock Level Synchronization, including price synchronization and QTY reservation. Downloads Amazon orders and import it just into PrestaShop store. 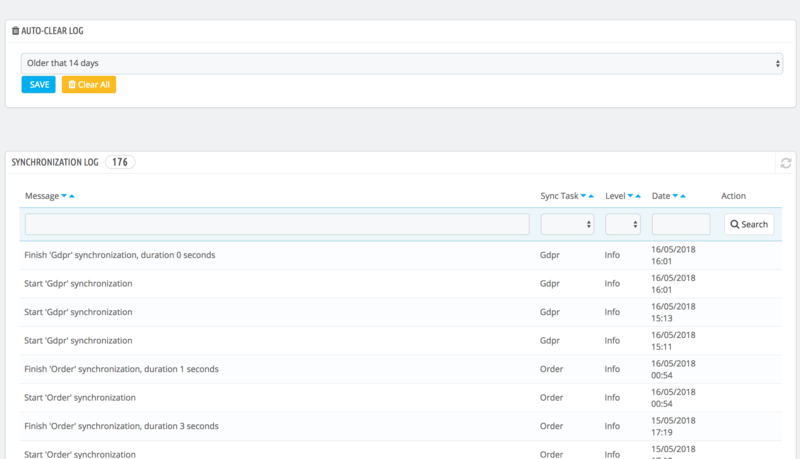 Synchronize Order Status between marketplaces. 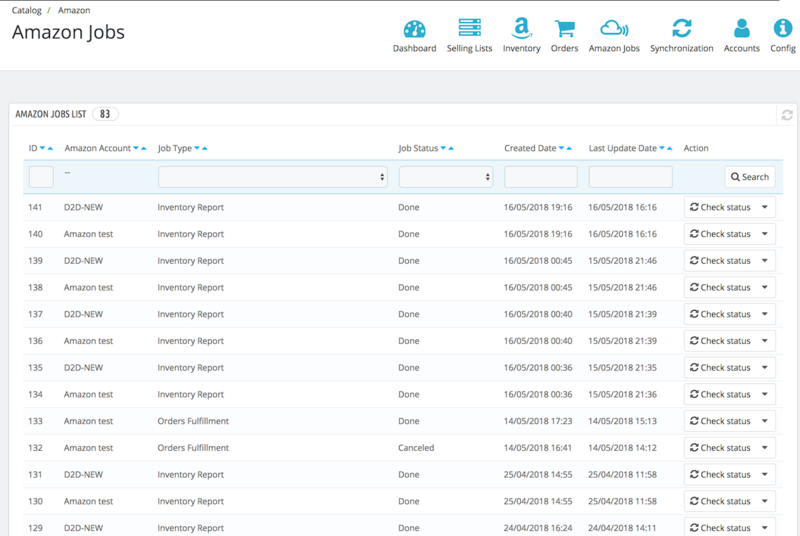 Special designed tasks for background handling on large amazon inventory. 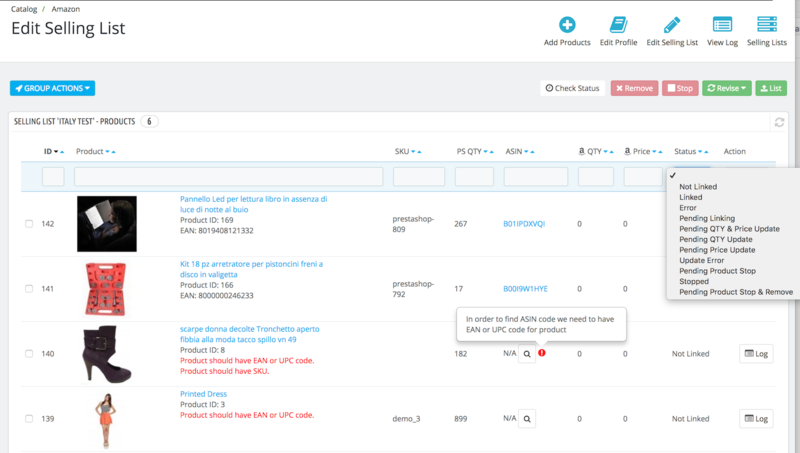 Send 1000 products to amazon in less that 5 minutes. 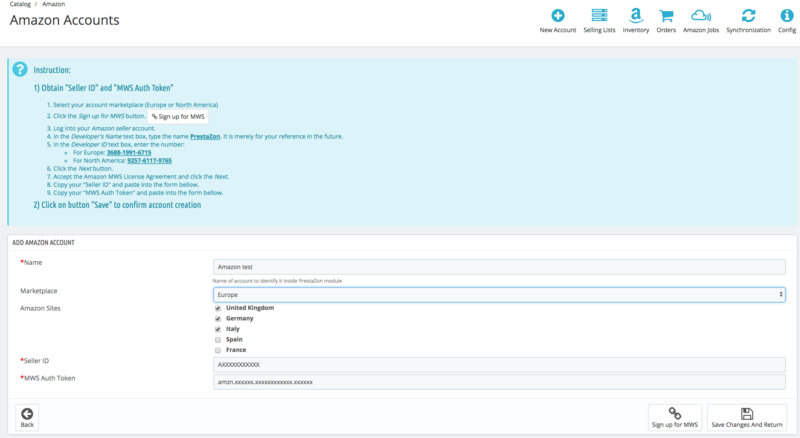 You can connect your PrestaShop store with Amazon Europe (United Kingdom, France, Italy, Germany, Spain) and Amazon North America (United States, Canada, Mexico) and Amazon Australia. Do you have more that one Amazon account? No problem! You can add as many account as you need. Download current Amazon Inventory and get full understanding what data you have on amazon. 2. Does there any special requirements for hosting? 3. 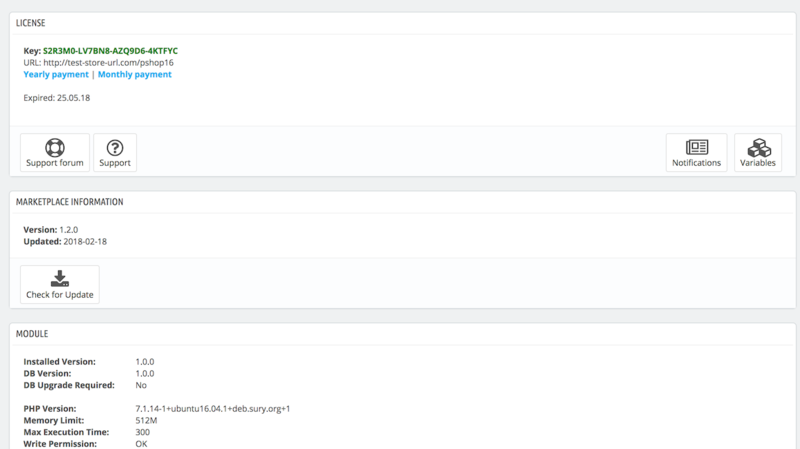 What requirements for Amazon Account? 4. How can I get support?